All hail the king and queen of the 1982 Winter Carnival! 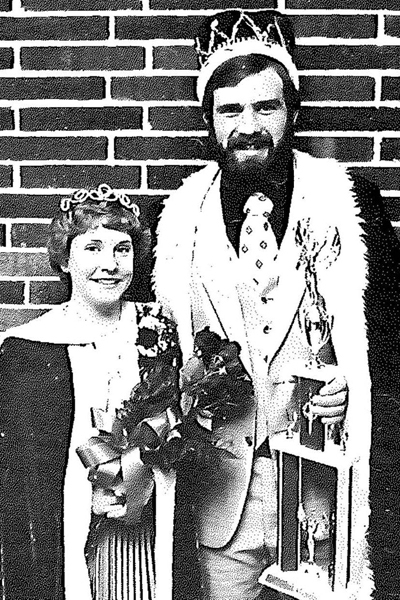 As pictured in the 1982 spring edition of Falcon Features — Winter Carnival King, Carl Duley 1983, and Queen, Michele Deziel 1983, sponsored by Alpha Gamma Rho. 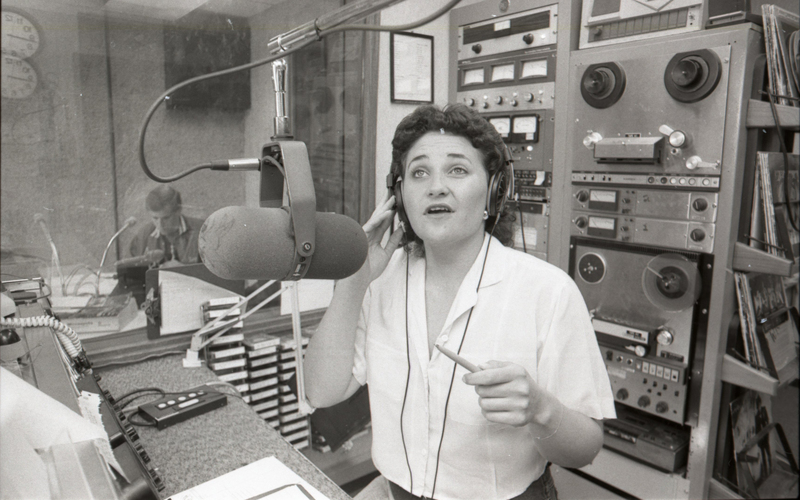 Another flashback from the past – here’s Pam Jahnke from her days at UWRF where she started the first ever Farm Show on WRFW, the campus radio station. 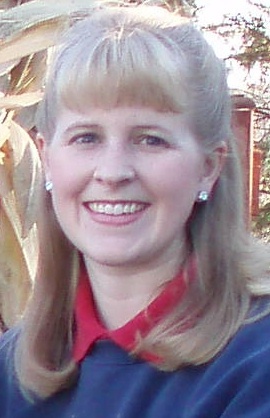 Pam, aka the Fabulous Farm Babe, is the Farm Director for WI Farm Report Radio and her agribusiness updates are carried daily on stations across the state. See more about Pam here. Corn and Beans and Oats, Oh My! The annual Wisconsin Crops Management Conference is just around the corner, so a crops related memory seems appropriate. 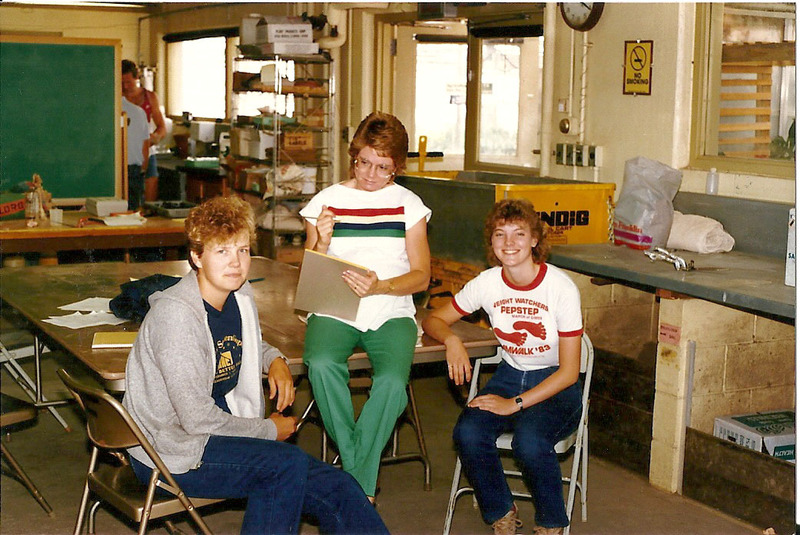 If our records are correct this is a photo from the 1981 Invitational Crops Show. Do you remember judging silage or selecting the longest ear of corn? 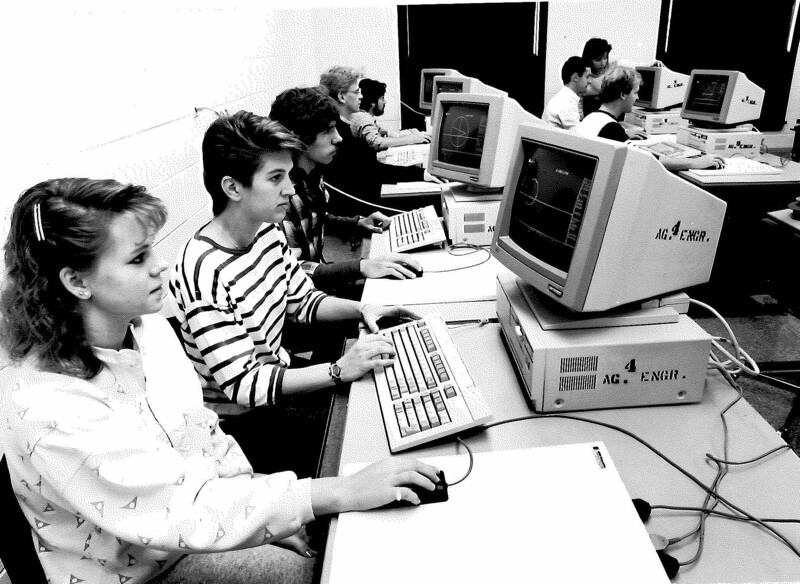 We’re sure Lou Greub and Steve Carlson are somewhere in the room…but can you identify the students? Who is this Rodeo Queen??? Does anyone know who this Rodeo Queen is?! 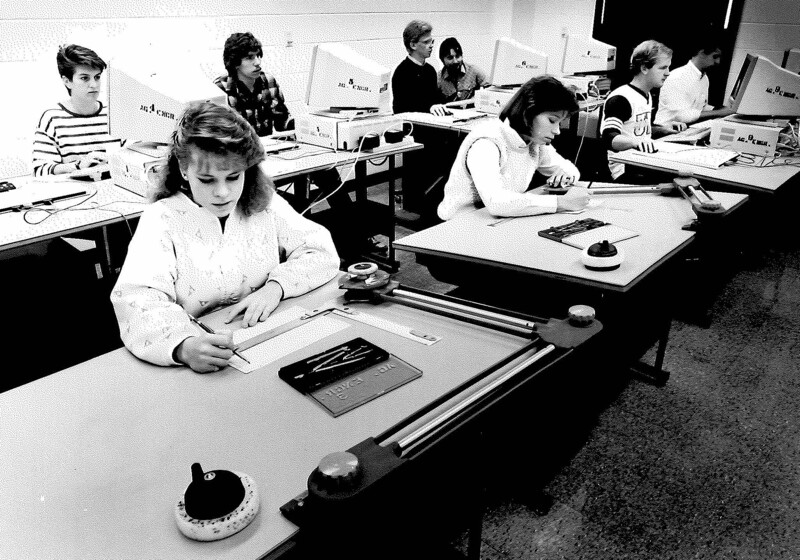 These are photos of students in a CAD lab in the 1980’s. 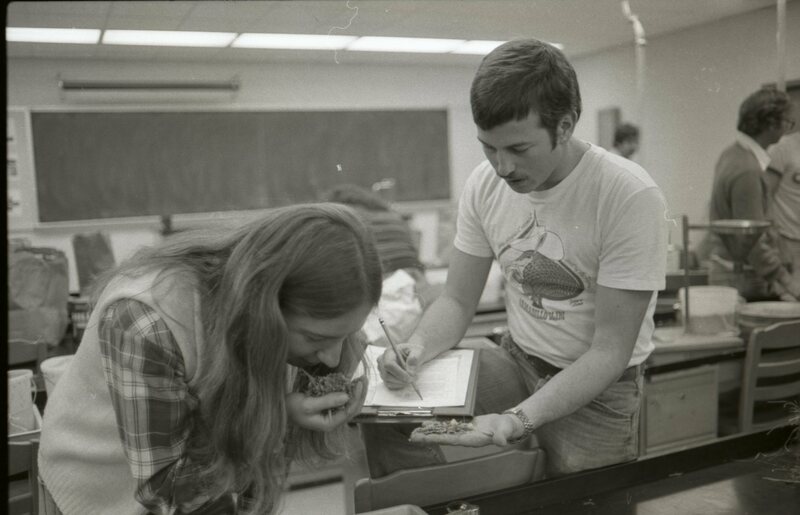 Does anyone remember this class and could identify the year and students in these photos?! 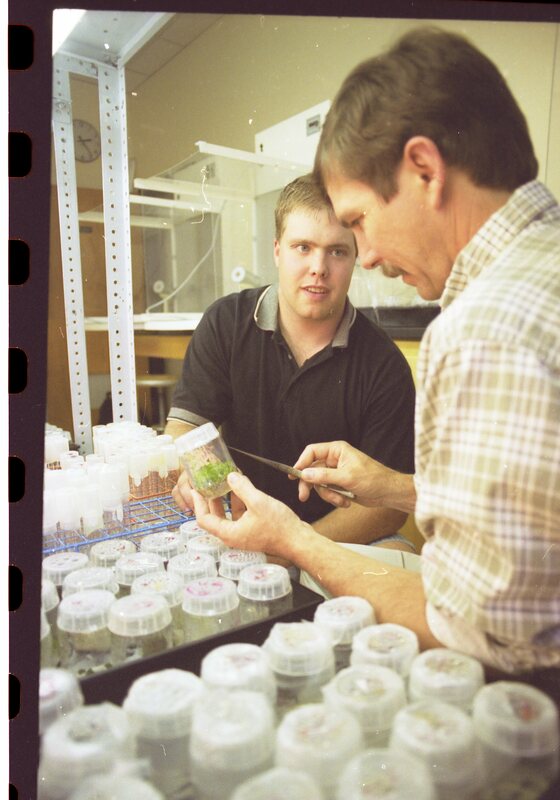 1990: Academic Quadrathlon Coordinators Tony Jilek and Dennis Cooper work with students: Tiffany Julen, Dan Smerchek, Rob Moede and Tom Hansen. AQ is a recurring event that happens in the spring where UW-River Falls student teams compete with each other to show their all-around knowledge of species, animal care products, animal health and other animal science topics. The top team on campus goes on to compete at the Midwest regional competition at the American Society of Animal Science meeting in March. We in the College are going through our collection of old photos too! 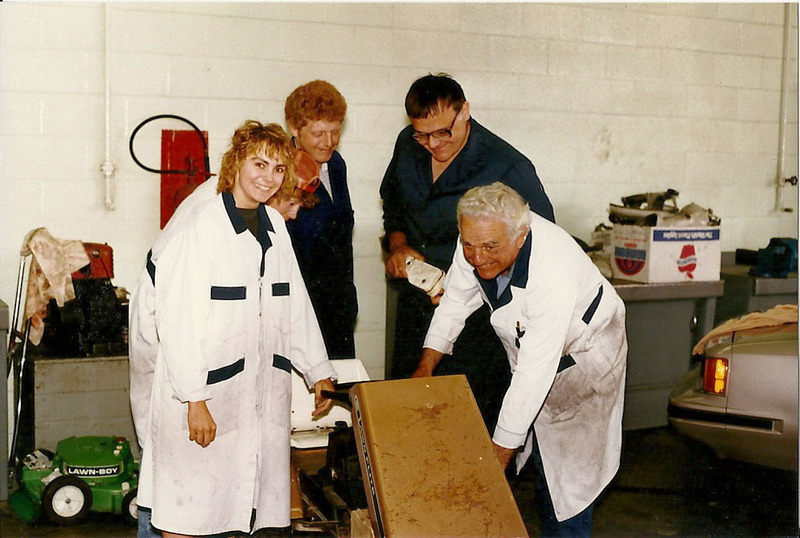 Here are two from 1985 featuring faculty members Terry Ferriss, “Doc” Bohn, and several unidentified students. Recognize any of them? By what is evident in the photo of the engines lab, it looks like it might have been taken at the annual lawnmower tune-up event, which still happens each spring! Any stories surrounding working that event? 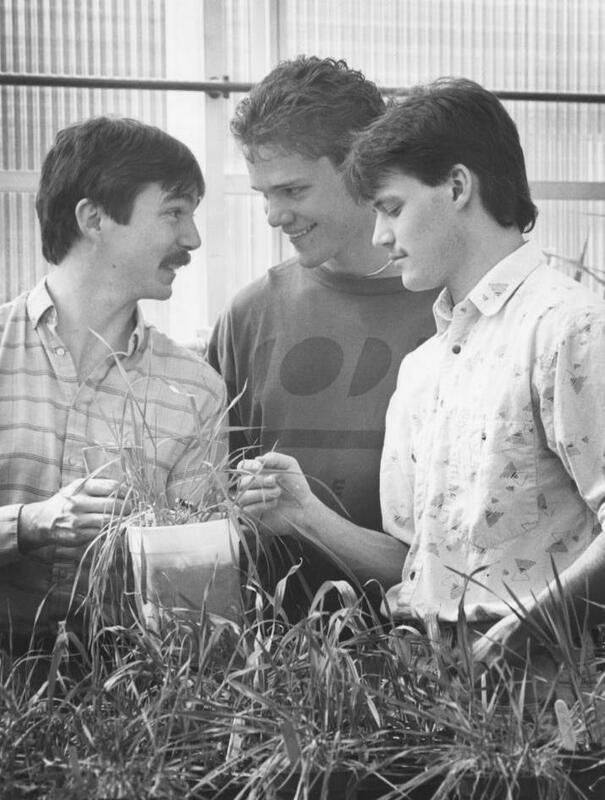 Sometime in the 1980s, in an attempt to allay mass symptoms of winter blues among the faculty, Bob Baker and Marv Thompson invented a gourd rolling contest and organized a college-wide event. Marv even donned a striped referee’s shirt to officiate the event. Contestants were to roll a gourd as far as they could in a straight line, challenged of course by the slightly curved stems of the gourds. Unfortunately, no one could recall the winner of this event!